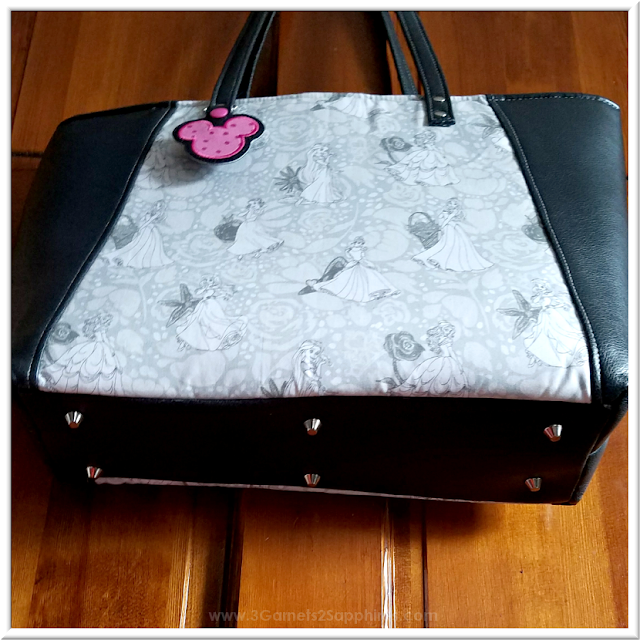 When I went to Walt Disney World in Orlando earlier this year, I was determined to find a designer Disney bag that I loved. Alas, it just didn't happen. There was no magic between me and any of the bags I found. Did I find some that I liked? . . . Sure! I just couldn't bring myself to spend a few hundred dollars on a bag I didn't absolutely love. During the weeks following our trip, I looked around online for a bag because I was told that not all styles were carried in the shops at the park stores. 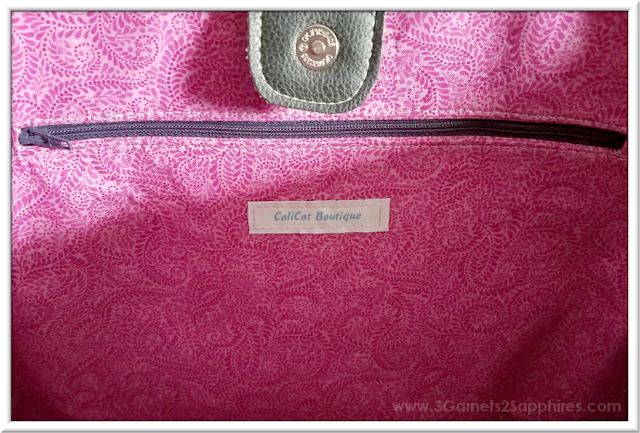 That's when I happened upon this little Etsy shop called CaliCatBoutique. 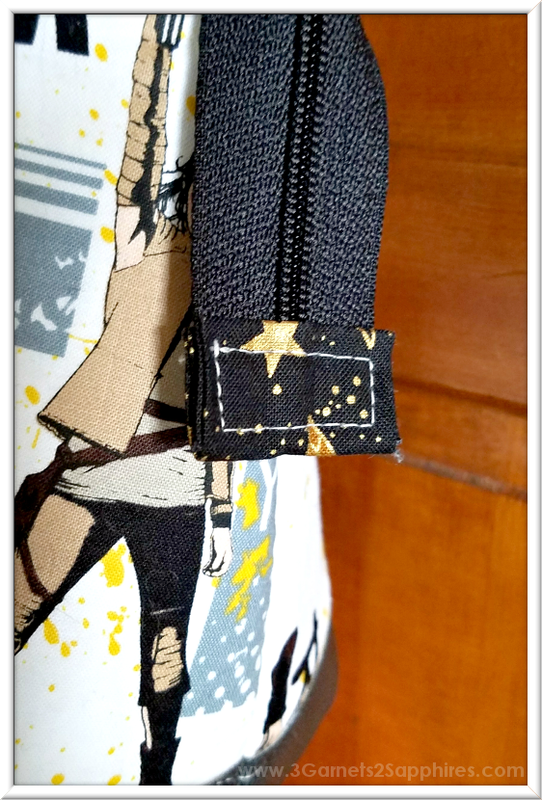 After taking a look at the various styles of bags available in this shop, I realized that this Etsy seller offered custom bags, where I could choose the fabrics, vinyl color, zipper color, and more. I could actually create a bag that I loved! And, you know what? . . . I ended up creating TWO for much less than it would have cost me for just one high end bag at Disney. 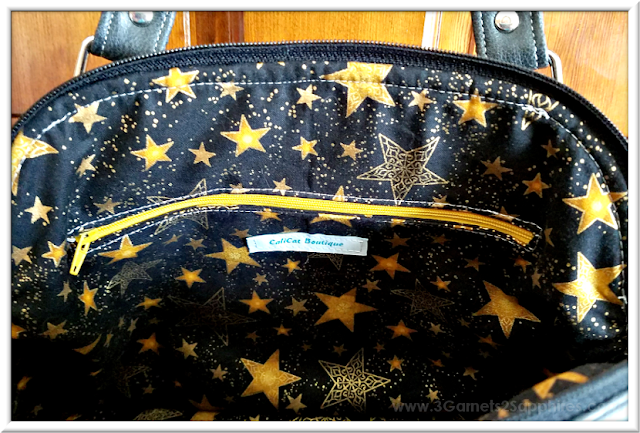 It's been awhile since I wrote a Shop 'n' Share post, but I just couldn't not share about my two new bags! 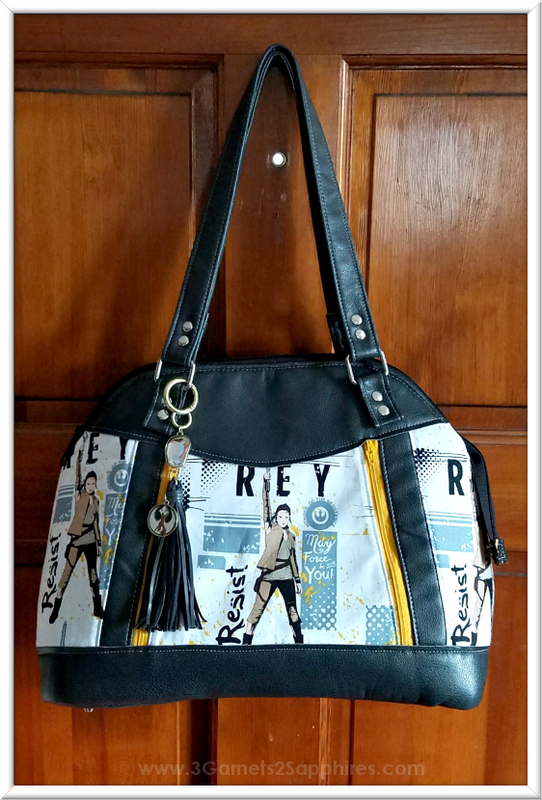 The first custom handbag is a Star Wars-inspired Sublime bag. 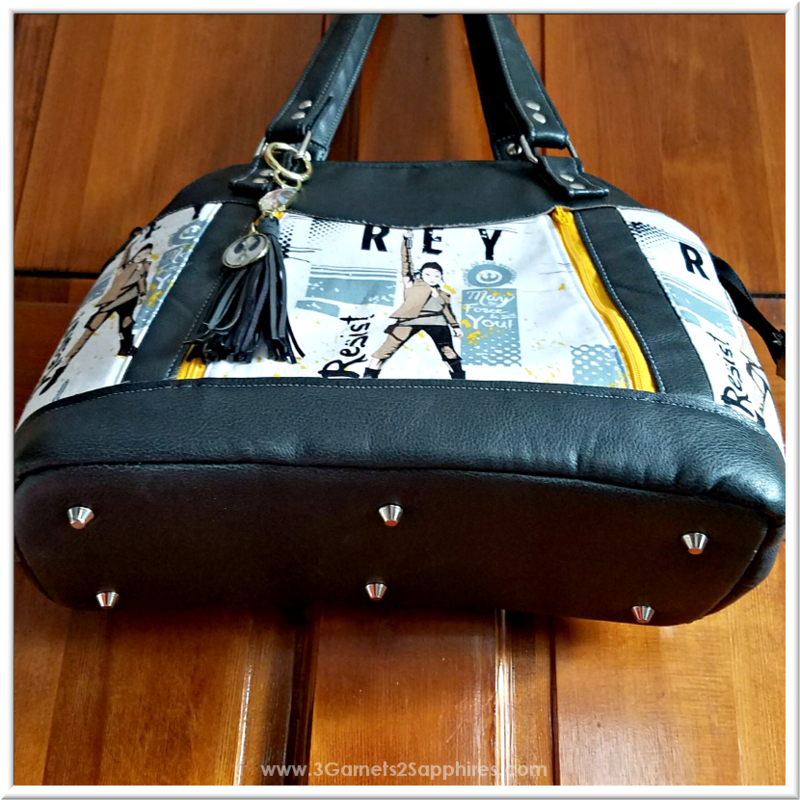 I chose a Rey fabric paired with an off-black vinyl and contrast zippers for a bold accent. I love the touches of silvertone hardware on this bag, right down to the six metal feet that protect the bottom of the bag from wear. For the interior, I chose a fun star patterned fabric that picks up the colors of the exterior fabric. I was pretty pleased with how well the two prints coordinated. For the zipper, I chose black over a brightly colored one. I think it worked well. 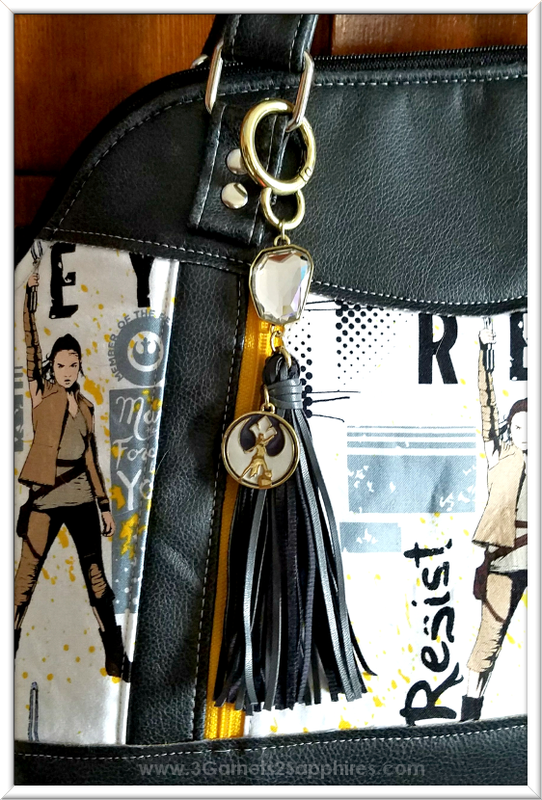 To complete the look, I found this Star Wars: The Last Jedi Rebel Logo Tassel Keychain to use as a purse charm. Even though the keychain is goldtone, it worked well with the colors of the bag. 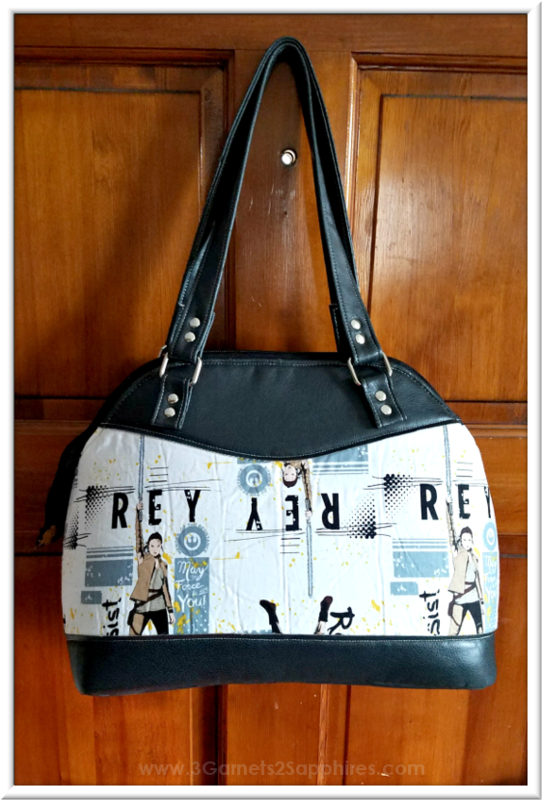 It's almost as if it was made for this Star Wars-inspired bag! 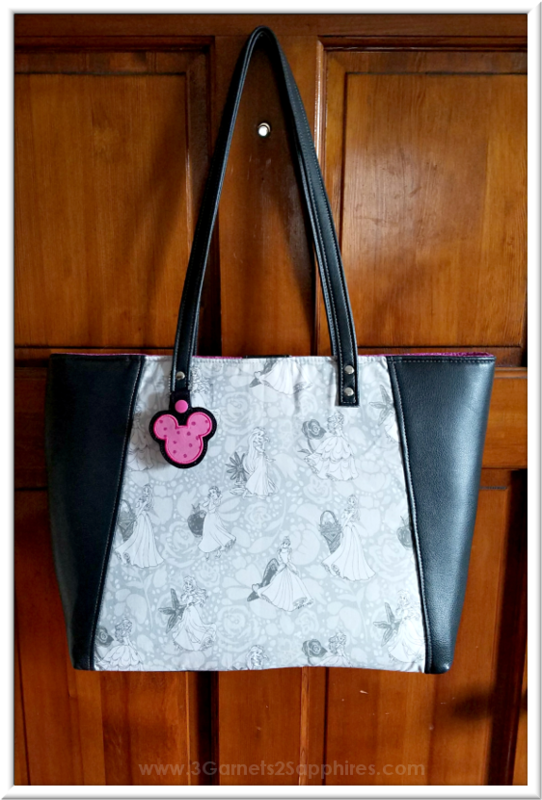 The second bag is a custom tote bag inspired by Disney Princesses. 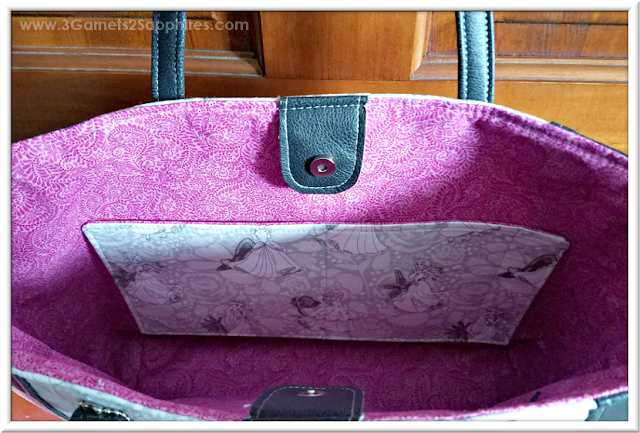 I first saw this Everyday Tote in purple and fell in love with it. As I looked around, however, I was extremely infatuated with this subtle Disney Princesses printed fabric. 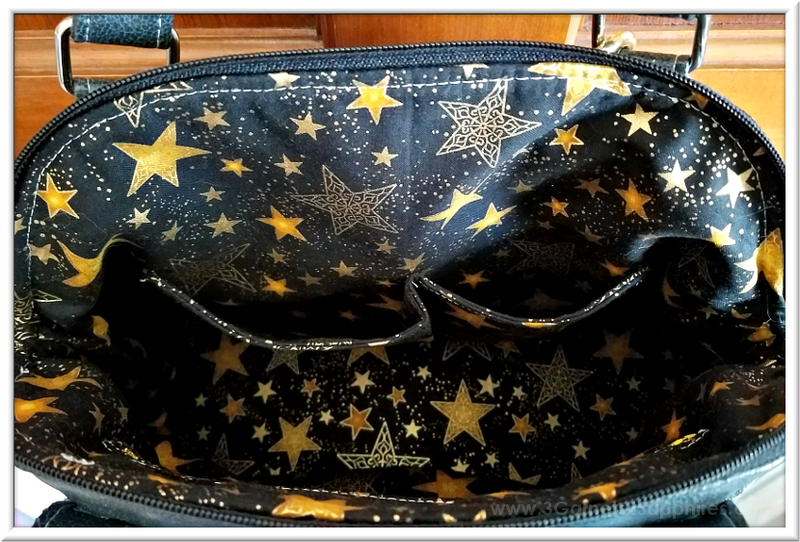 I paired this pretty fabric with the same off-black vinyl that was used for the Star Wars-inspired bag. For the interior, I chose a contrasting fabric. I had a tough time deciding on the color. Thank goodness the CaliCatBoutique owner is a patient woman. Ultimately, I ended up with the fuchsia, and I am very pleased with my decision. When I had mentioned that I never zip my tote bags up, the owner offered to make the bag with a magnetic snap rather than a zipper. I'm so happy that she did because the functionality of the bag is just as important as the style to me. Originally, I had purchased a fuchsia leather rose purse charm to hang on this bag, but it didn't look quite right, so I returned to Etsy to find an alternative. I just think the bag needed a little splash of color. 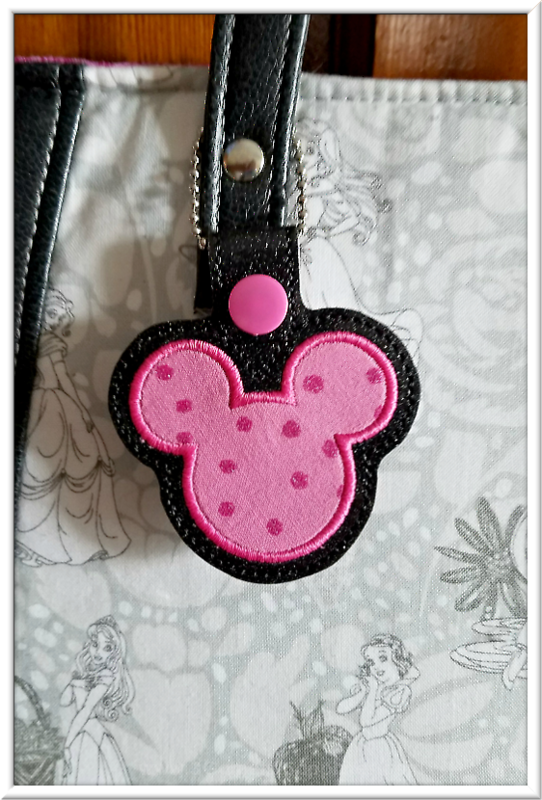 Finally, I came upon the AnaBeeCreations Etsy shop, where I spotted a mouse head key fob. I requested to have the pink dotted fabric against the black vinyl. When the key fob arrived, I replaced the swivel lobster claw clip with a ball chain in order to hang it from my bag. I love the way this bag turned out, and it's what I'm carrying now for spring! I'm really just thrilled with my two new bags! I had also been eyeing the Bonnie Bucket Bag. Maybe I could have a Buffy the Vampire Slayer-inspired bag made? Although I did see a beautiful stained glass Beauty and the Beast fabric recently . . . the possibilities are really endless! NOTE: Be sure to ask for a quote on custom orders, as the cost may vary depending on the fabrics and details you choose. What theme would inspire your dream handbag?